When it comes to color, black and white have the greatest contrast of hues. Perhaps this is why the colors continue to represent the extremes of good versus bad and light versus dark. From this perspective, things in the light are easy to discern and understand. In opposition, elements in the dark remain cloaked in mystery and sometimes cover up evil. These color opposites also translate into a visual representation and a way to pick out the good guys from the bad guys, such as discerning good versus evil by the color of a hat worn. Individuals wearing a white hat represented someone who did things the right way, even if that meant it might be more challenging on the front end. The bad guys, the ones wearing the black hats, generally took the easy way out, even if it the action was detrimental to others involved. In the world of search engine optimization (SEO) there exists white, black and grey hat SEO. Black Hat SEO – An aggressive SEO strategy using techniques designed to influence a search engine. This style is more concerned with how a search engine views the pages than its usefulness to human users. Instigation for black hat SEO is typically quick financial gain and high search engine rankings. Because of the ambiguous nature of this method of SEO, it can result in high-risk, short-term gains and possible penalties or search engine bans for disingenuous methods designed to artificially inflate search engine rankings. 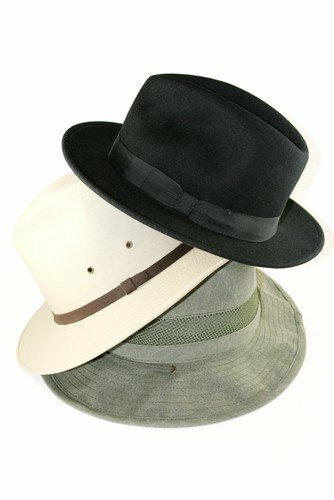 White Hat SEO – As you might expect, white hat SEO is the polar opposite of black hat SEO. This strategy takes a long-term approach to gaining influence with search engine rankings and human users by working within the parameters of Google and BING’s quality standards. While white hat techniques cater to the search engine standards of excellence, they also look to benefit the user through quality, relevant content and links that minimize spam. Grey Hat SEO – Somewhere in between white and black hat SEO methods lies grey hat SEO. This technique straddles a middle ground in terms of risk. As a result, there can still be a compromise to the user experience in order to achieve the black hat short-term gains with the search engines. Although black hat techniques mean quick results, those methods will need to continually change to keep up with algorithm changes. Both the Panda and Penguin updates from Google reward quality content and links (white hat techniques) with higher search engine rankings. While longer-term white hat techniques can take patience and creativity to see search engine results, in the end they are the best way for a site to maintain credibility with search engines and with site users. An innovative approach to search engine marketing (SEM) including white hat SEO, Paid Search Advertising (PPC), Content Marketing, and Search Engine Friendly Web Design can make your website, business or products more applicable and noticeable to others.